If there is one thing we are delightfully enjoying today that our great grandfathers may not even have thought about, it’s the use of modern technology. Think about it – you might have heard your grandfather grumble about the extremely-capable smartphone that you have been using, the Internet that offers you everything with just a click, Google’s yet-to-come driverless cars; geez, the list goes on and on. One such tech innovation that is set to revolutionize the way we live our lives (and make your grandfather even more envious) is virtual reality. You’ve heard it many times now. So what’s it going to offer? How’s is going to change the world? Well, here’s a simple way to put it. You strap the VR gear on your head and whoopee! you are inside whichever world you wish to be in. You may have seen the world in books, in movies or even dreamt about them; but they weren't real. How about being in the world you’ve always lusted for? And that’s exactly what virtual reality offers. That said, let’s analyze the many different possibilities with virtual reality, as they are finally becoming real and usable. In other words, these are the different fields that will benefit as Virtual Reality becomes more and more practical. Many schools and universities already use VR labs for different functions like learning, teaching and research work. VR as a tool, serves different purposes and subjects like biology, medicine, agriculture and even mathematics. The Stanford University has a Virtual Human interaction center which they use for different aspects of learning and resource. 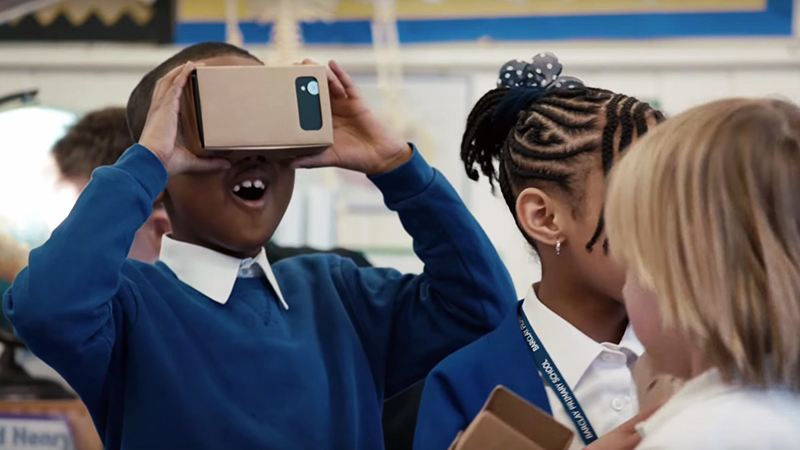 Virtual reality is an amazing alternative to expensive school trips as school students can travel anywhere and study the world around them, without actually leaving their classrooms or spending too much. VR changes the learning environment in a magical way, as young leaners can rewind history and travel to places that no more exists or has never existed. Whether it is going back to the medieval period or a journey to the galaxy or watching a popular historical event like the World War, VR opens the gates for unlimited possibilities. Virtual world makes it possible for young students to participate in activities which are dangerous or impossible in the real world. Chemistry lab experiments, studying wildlife and doing things like observing the jaws and teeth of a live virtual crocodile are few examples. VR is used as a diagnostic tool for testing a virtual patients and identifying the causes of their medical conditions. Medical students can use this technology to visualize human body and explore how it works. Engineering students can use this for prototyping concepts where they may want to build models, helping them understand new abilities faster. Objects can be designed, altered and tested in reality mode. In what is popularly known as “Second Life” or “21st century learning”, universities these days, have virtual campuses where they utilize this concept for research purposes, running courses, selling a variety of products and holding lectures. 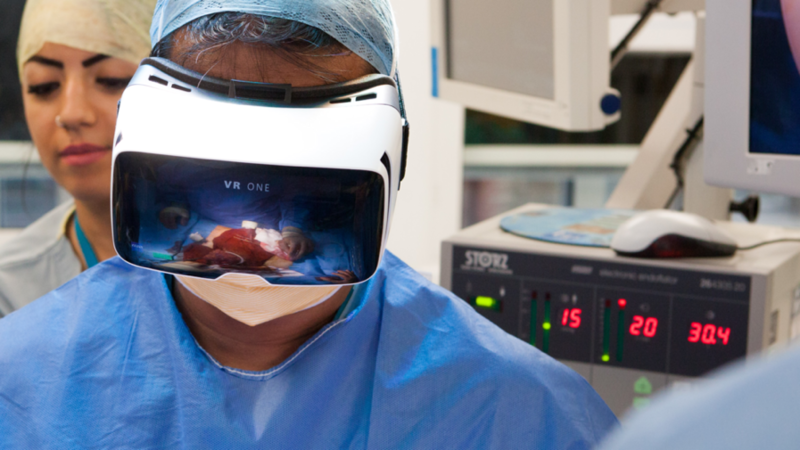 VR can be used to train young surgeons remotely as well as locally. Its ability to provide real-time learning experience to millions of young medical students has won plaudits from many healthcare industries all over the world. Trainee surgeons can practice new skills on ‘virtual patients’; so, there will be no more risks of committing mistakes on real patients. The concept helps them perform operations with more confidence. In this case, the trainee surgeon straps on the virtual reality glasses and uses data glove to do his surgical procedures in 3D environment. An ideal setup it is for learning new techniques and testing the results; VR can also be used by experienced surgeons who wish to improvise their skills. VR, if used with therapeutics, can make way for individuals with disabilities to undergo tasks and experience places which are otherwise not available to them. For instance, a person using wheelchair could now play a game of basketball using virtual reality games. Fashion designers could try unique creations and analyze how they work before they start mass-manufacturing their creation. One of the prime benefits of using VR is that you can learn how to act to different life-and-death situations. Police drills and military operations performed in VR environment can save lives and avoid injuries. High pressure situations can be experienced without too many dangers and threats. Any real-life scenario that is not feasible and not possible can be practiced again and again until the operator is confident and comfortable. “Telepresence” is the technology that enables a person to feel and experience another location, without leaving his home. This technology also helps in business productivity. Used as a tool for telepresence and telecommunication, VR helps a businessman perform close business transactions all over the world, without travelling. Automotive industries – Ford Motors, Toyota and Audi have already started using virtual reality for different purposes including offering customers a sense of driving their cars, popularly known as Immersion Lab. Advertising, digital marketing, tourism, skill traders, shopping, courtrooms, museums and manufacturing sectors are other different fields that are exploring ways to couple their activities with VR. Different industries use virtual reality concepts for different purposes – including cost saving, time saving, better understanding, better learning and teaching and experiencing the impossible. The benefits aren’t just limited to practical and serious applications. 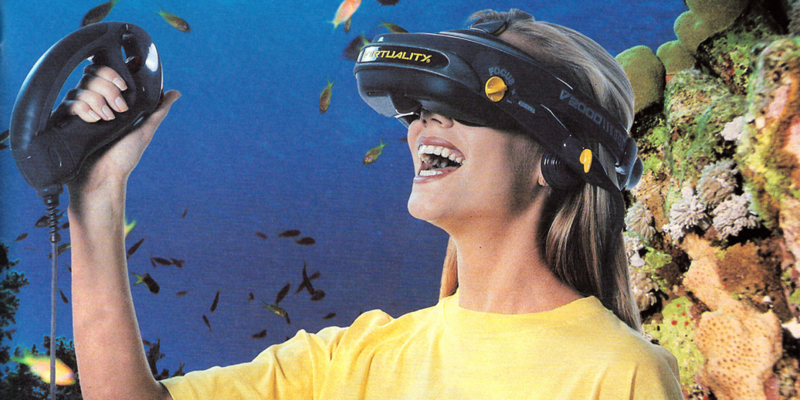 The whole concept of virtual reality was started for and by video game enthusiasts. So recreation and relaxation, entertainment and fun are plentiful with this unique technology. Its stereotypic displaying ability enables its users to appear in movies, pretending to be part of the action. If you are playing fishing or boating game, a theory called Haptic systems makes you feel the physical sensation like the rocking of a boat complemented by the sound of ocean. A gaming enthusiast would know what it is to feel the actual environment when playing these games. All put together, virtual reality has everything in it to redefine human lives. And there’s no wonder why the tech world today is madly behind this developing concept.